At a meeting held yesterday between the Ministry of Industry and Trade and the Prime Minister’s working group, officials said that it would take a while to complete the deal due to its complexity and its involvement of other ministries and sectors. "The sale of the State’s stake in Habeco must be transparent and based on market rules. It requires a lot of time and procedures," he said. The department has sent a request to the Ministry of Justice for consultancy on the contract between Habeco and Carlsberg, the official said. According to the strategic co-operation agreement between the two companies, Carlsberg is obliged to support Habeco in its development. In return, the Danish brewer can be prioritised to purchase Habeco’s strategic shares in case the MoIT decides to sell its stake to a strategic partner. 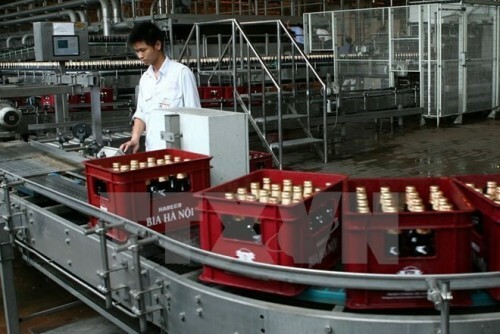 Hebeco was traded on the Unlisted Public Company Market (UPCoM) with code BHN and the company was now finalising the proposal to be listed on the HCM Stock Exchange, where the Sai Gon Beer, Alcohol and Beverage Corporation (Sabeco) has recently completed its process for trading, Dung added. The two local brewers were expected to be traded on the stock market by December 20 and their trading prices would be used for selling the State’s stakes in those firms, he said. The Minister of Industry and Trade Tran Tuan Anh said that some other ministries and sectors had their stakes in the two brewers. “The deals cannot be speeded up” and “careful steps must be taken” to assure the Government receives a sufficient return and the companies will be able to retain their brand names. The MoIT now owns nearly 81.8 per cent of Habeco’s chartered capital on behalf of the Government and Carlsberg owns nearly 17.1 per cent. However, the percentage of floating shares is just nearly 1 per cent, equal to 2.3 million shares. Total State’s capital in Habeco to be sold this year is about VND9 trillion (US$400 million).